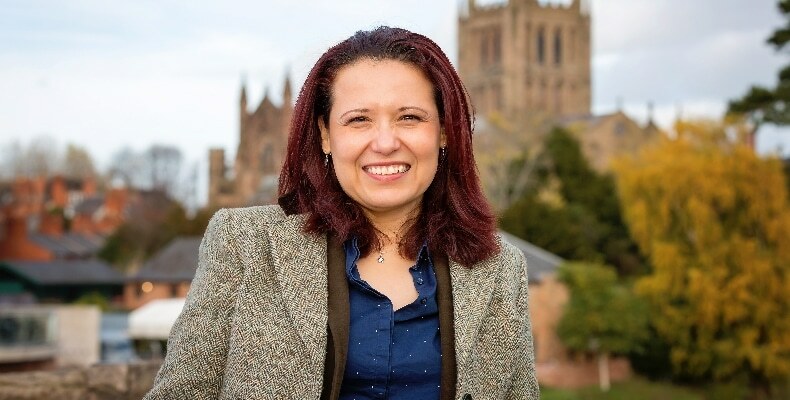 Professor Elena Rodriguez-Falcon has been appointed Chief Executive of Herefordshire’s future university with immediate effect. Professor Rodriguez-Falcon joined NMiTE from the University of Sheffield, where she had been Professor of Enterprise and Engineering Education. Elena joined Sheffield in 2001, having worked in industry for seven years. At Sheffield Elena was the Faculty of Engineering’s Director of Women in Engineering; she has also been recognised for her contributions to women in STEM, with awards from Universidad Autonoma de Nuevo Leon in Mexico and the Princess Royal. Britain has an estimated annual shortfall of at least 22,000 engineering graduates and closing this gap is essential if the country is to have the high-value skills needed for a successful modern economy. NMiTE is being created to help solve this problem with a radical new approach and a curriculum that combines the best innovations from leading universities around the world. It intends to be educating more than 5,000 engineering students by 2032. Dame Fiona Kendrick chair of the NMiTE Board of Trustees added: “Elena brings a visionary energy to NMiTE as we develop an approach to lifelong learning that addresses the needs of employers for both new work-ready talent and also programmes to up-skill and improve the productivity of existing engineering and technical employees.